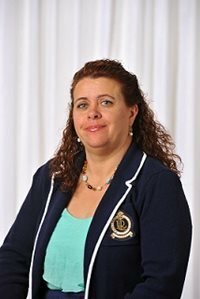 Lacey Berumen, PhD, MNM, CAC III is the Second Vice President for the National Alliance of Mental Illness (NAMI) Board of Directors, and a Deputy Director of Operations at Federation of Families for Children’s Mental Health–Colorado Chapter. She was previously the executive director of NAMI Colorado. Lacey found NAMI through the NAMI Family-to-Family program when her family was in crisis. Since then, her hope has been to advocate for change through her affiliation with NAMI. She is currently a member of NAMI Aurora in Colorado. Lacey earned a Masters of Nonprofit Management (M.N.M) from Regis University as well as a Ph.D. from Capella University. She has 25 years of experience in non-profit management, which includes grant writing, state and federal advocacy, and legislative bill drafting. Lacey has several publications including: Mental Health in Colorado: 2008, NAMI Public Policy Program; NAMI White Paper on Mental Health Bed Allocation, 2008; and Poverty & Cancer in Colorado: 1995-2002, 2004 Colorado Department of Public Health and Environment for Colorado Comprehensive Cancer Program. Lacey was named one of Denver’s 150 Unsung Heroes in 2008 as well as the Colorado Volunteer of the Year in 2009. She was a Colorado Planned Giving Round Table Fellow from 2011-2012 and in 2012 received the Regis University Alumni Community Service Volunteer of the Year award. She was also named the 2013 CAAP Substance Provider of the Year.